I recently featured the Britax Holiday in my Best Travel Prams list for 2018. 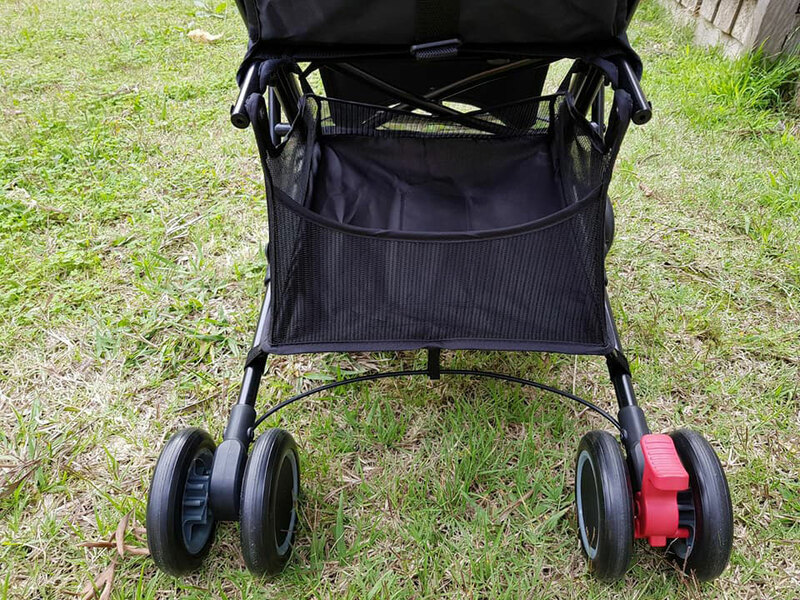 It’s a very sweet, simple, light weight, compact, easy to use little pram that is absolutely perfect for travel. It weighs a tiny 4.9kgs. Also it’s only 43cms wide, so it’s a very petite pram. Great for zipping around busy airports, or just cruising around through narrow aisles at the shops. That said having your Britax Holiday go to the wrong destination may not even be a concern because it folds compact enough that you may be able to bring it on to the plane with you as overhead storage. Though it’s best to contact your airline to clarify that before you fly. 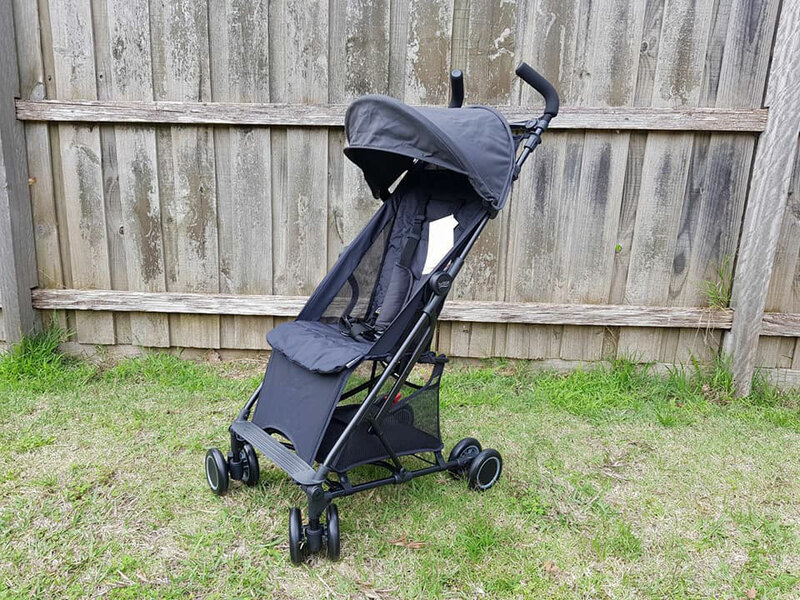 Also because of size and price point of the Britax Holiday it’s also a great second stroller to keep in the boot of the car, or at the grandparents house. Because it barely takes up any space at all! I think because the seat is so low to the ground I was surprised and impressed by how tall the seat actually is. 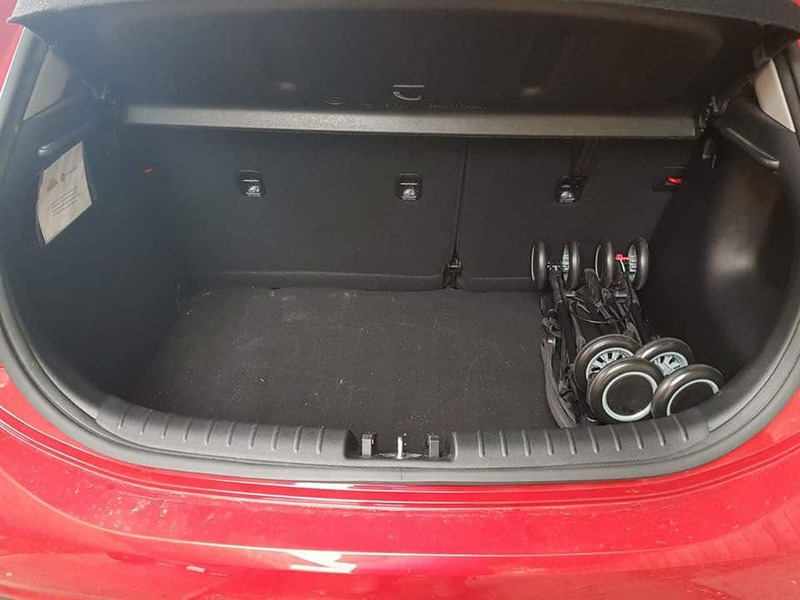 There’s a good 60cm from the seat to the hood, so you could reasonably expect to fit a 3 or 4 year old into that seat. That said it only has an 18kg weight limit. So your child might outgrow the weight limit before they outgrow the seat itself. Overall it’s just a sweet little pram that while it doesn’t have a lot of features, it does what it does really well. It does have really small wheels, small basket, and small hood BUT it’s designed to be light and compact. And incredibly easy to fold and open up. Actually the fold is really impressive. Just watch the first 18 seconds of the video below and you’ll see what I mean! I borrowed the Britax Holiday to review from the lovely team at Baby Train.